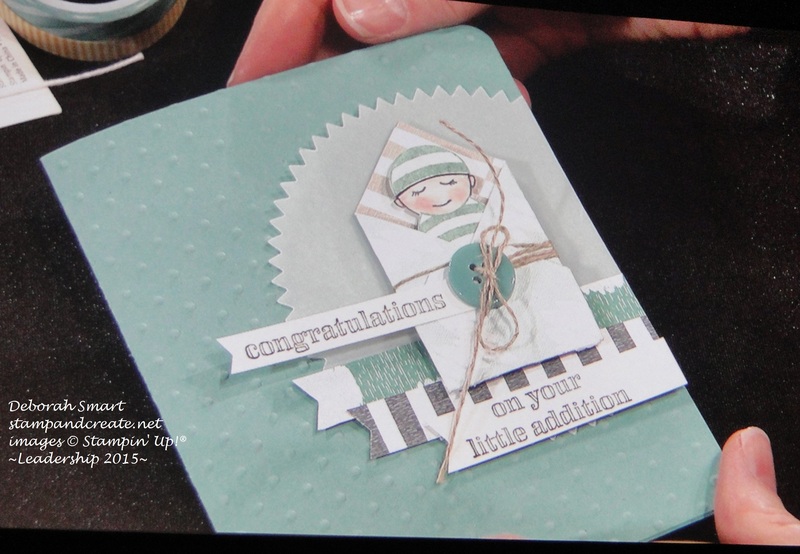 As promised, I’m here today to share with you some of the great projects that were created by demonstrators and Stampin’ Up! 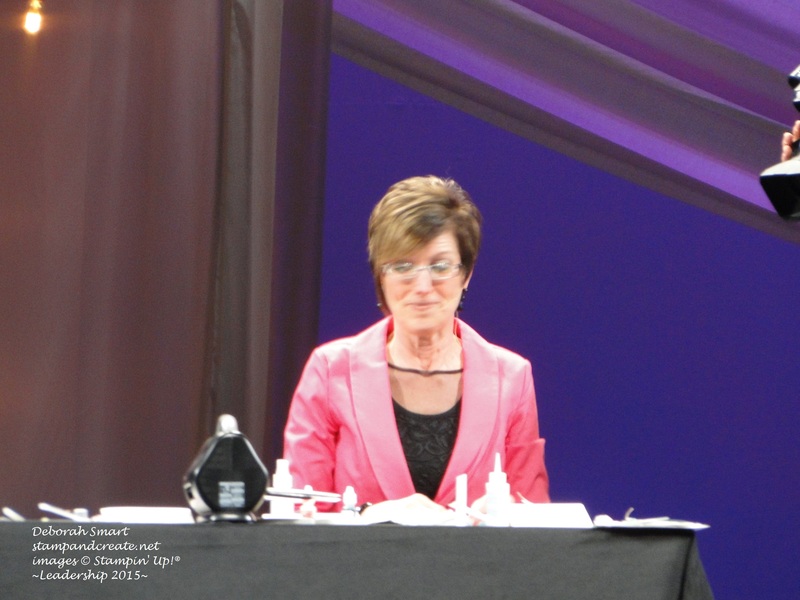 home office staff, on the main stage at Leadership convention last week. There was an amazing group of people sharing their creativity; everyone from our own CEO Shelli Gardner, her daughter Sara Douglass, and 13 other staff presenters, plus 12 demonstrator presenters, including France Martin, Erica Cerwin, and Becky Roberts, to name just a few. When taking the pictures, I’m afraid I had no way to note which presenter was making which project, so I apologize in advance for not being able to tell you the name of each creator. 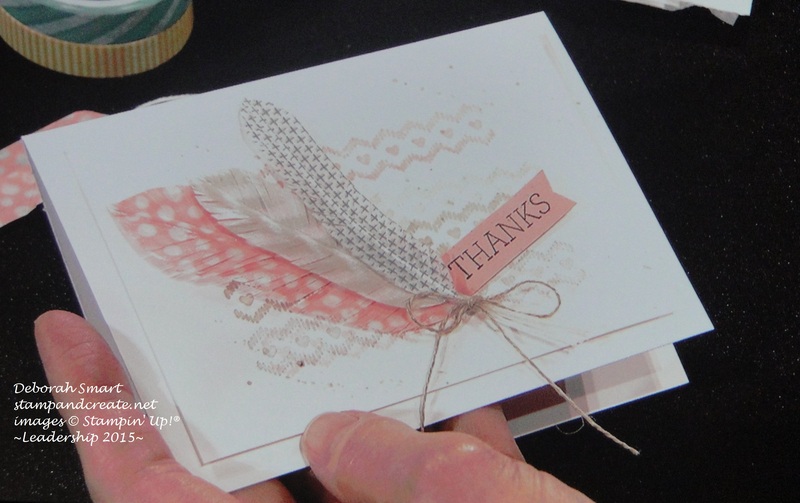 This 1st card was created by Shelli – I remember, because of course she was the 1st person on stage, and the 1st to stamp! Recognize that little baby? It’s the Baby Bumblebee stamp (#137153) with the wings & antenna snipped off, and tucked into a little pouch! 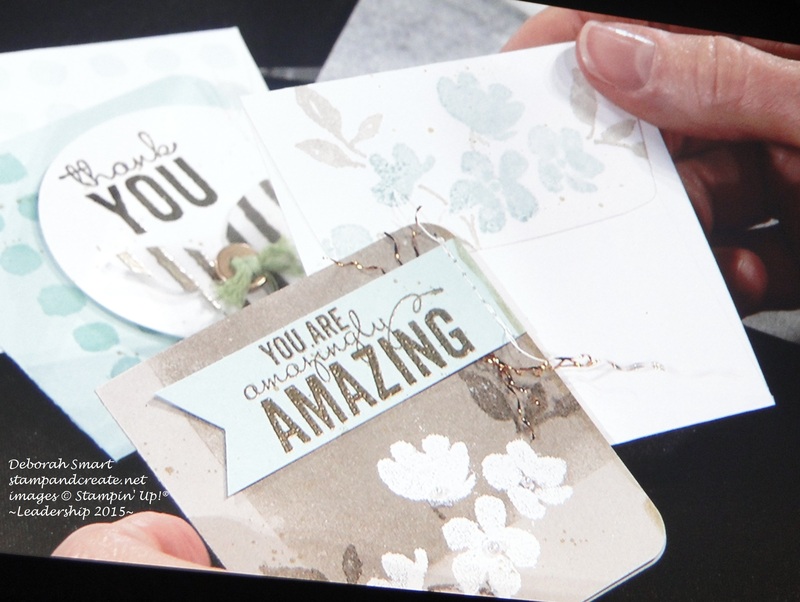 There’s a little story with this next card Shelli made….while she was creating part of it, the audience began chuckling because the part she was creating was looking like something it was not…at first Shelli wasn’t sure what was going on; then she caught on.. 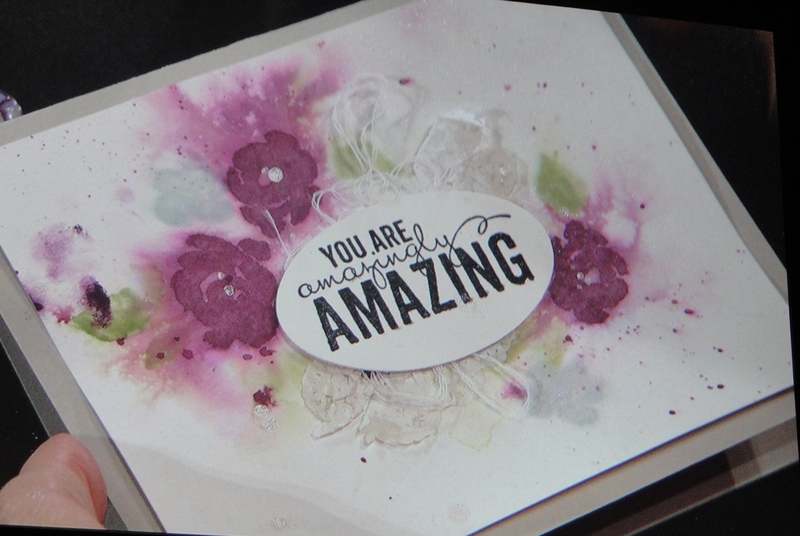 This is the completed card – you figure out what we were laughing at! 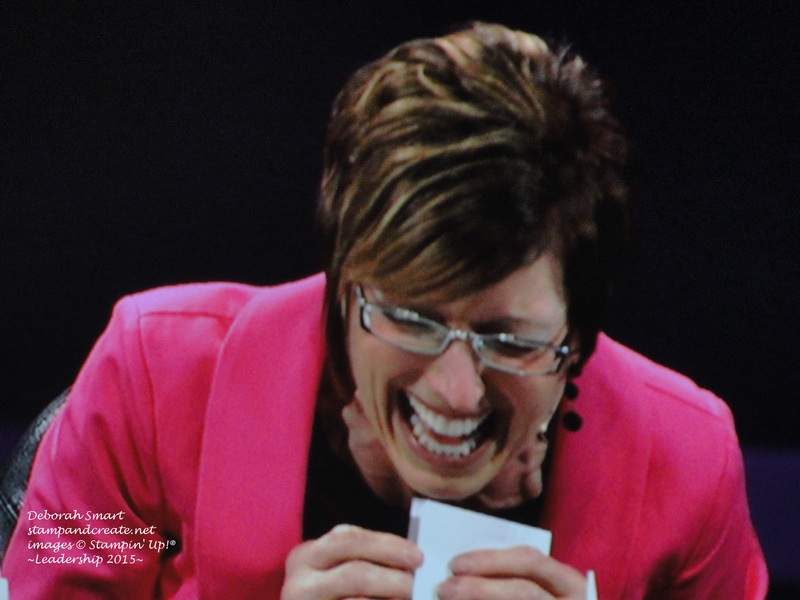 I don’t remember the name of the presenter for this card – but it has a great story!! 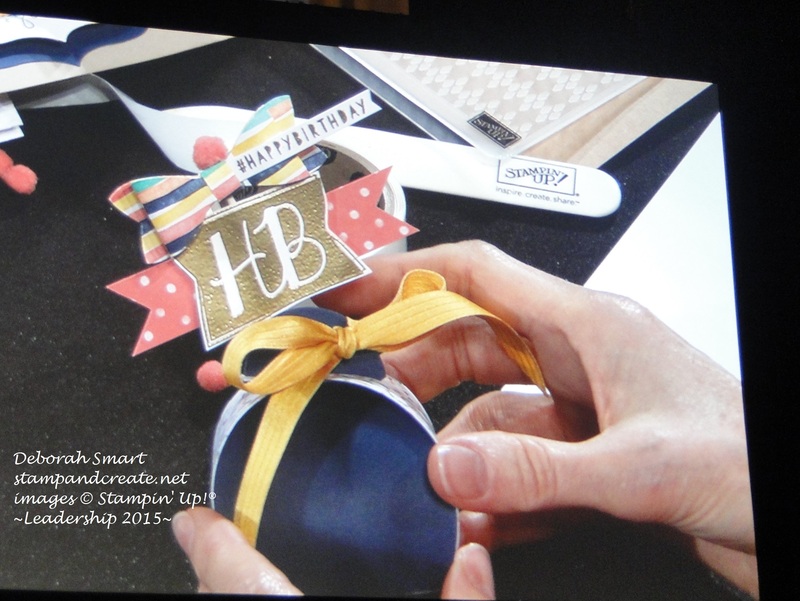 She started out by asking us ‘did we know that Stampin’ Up! 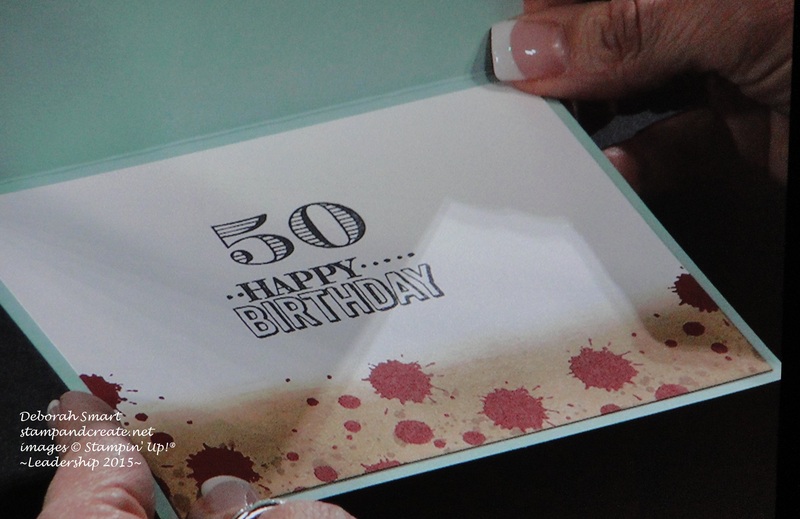 has all the stamps necessary to make a ‘Walking Dead’ card? 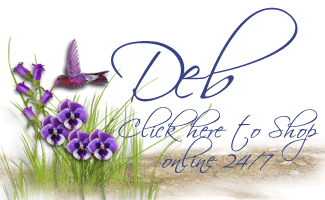 Well – who knew?!! 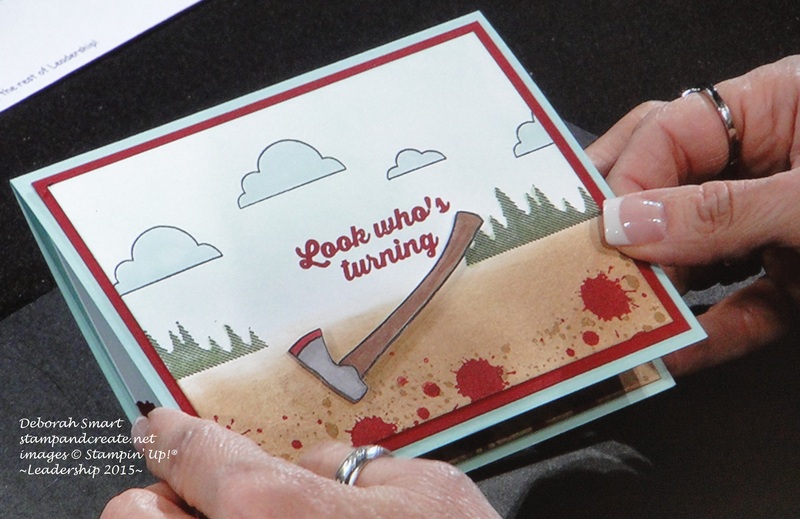 The axe & trees – from Wood You Be Mine (#137134), the ‘splatter’ – Perpetual Birthday Calendar (#137167), Look Who’s Turning – Hooray It’s Your Day (#137164), the dirt – Build a Bouquet (137166), clouds – So You (#137165). Isn’t that hilarious?? 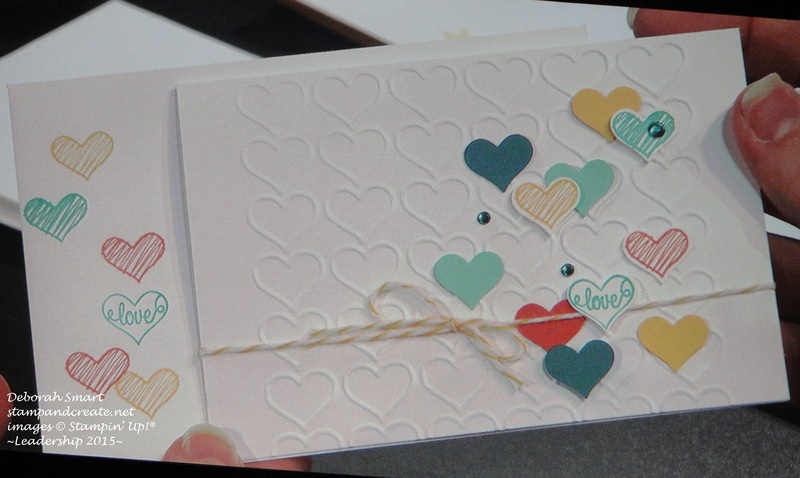 And the inside of the card…. 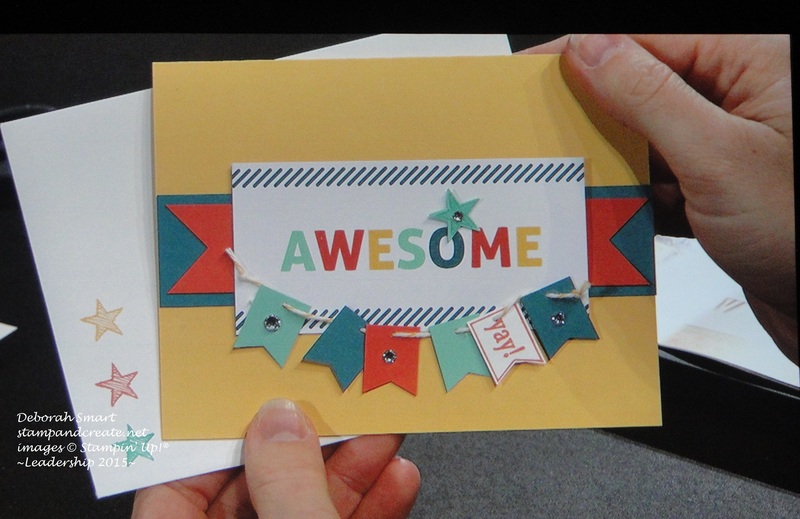 This card is just – well, awesome!! Well, it’s getting late here; I had to go away & do some family things, so I’m finishing up this post at almost 11:30 pm. 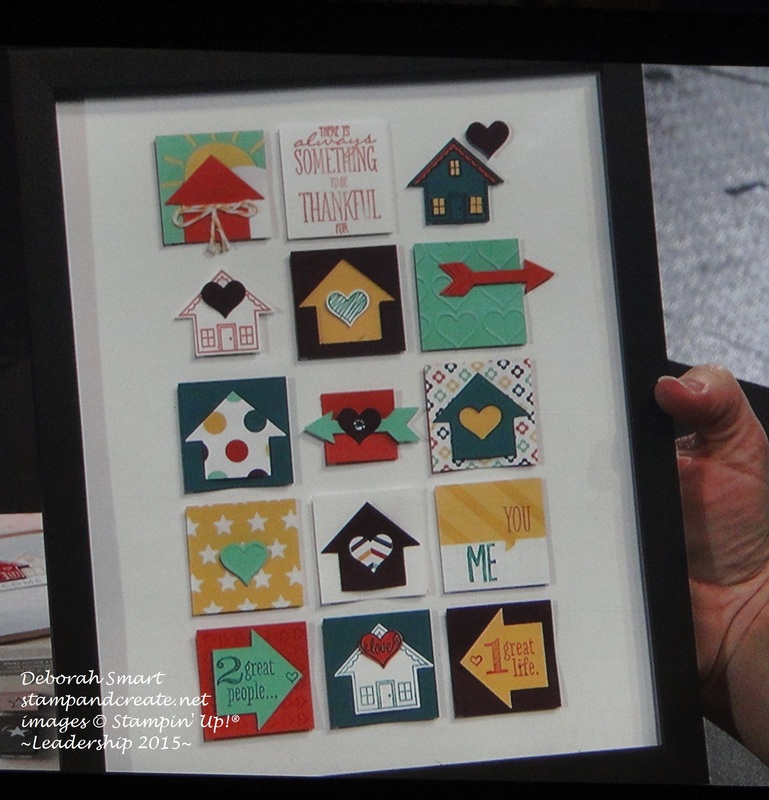 I have a few more Main Stage cards to share with you – I’ll do that tomorrow.